History Boleslawiec (Bunzlauer) stoneware originated as folk art in the early 1800’s in the German province of Silesia. The name Bunzlauer comes from the name of the then German town of Bunzlau, which is now part of the Polish town of Boleslawiec. This city is located on the Bobr River in southwestern Poland near the German and Czech border. This entire region has a history of pottery making dating back to the early 7th century. Early pieces from the 1700’s and 1800’s were used by farmers as storage pieces and had a chocolate colored glaze. At the end of the 19th century, the potters of Bunzlauer began to introduce new lines of pottery intended for use in the parlor. Bunzlauer pottery experienced a renaissance in the early 1900’s that introduced the “Jugendstil” movement - - the German equivalent of Art Nouveau. During this time, the “Pfauenauge” or Peacock’s Eye” became the universally accepted trademark decoration now produced in the area. The 1920’s brought a trend towards more colors in response to the Art Deco movement. After World War II, the region of Silesia was annexed to Poland and the majority of the German population was expelled. 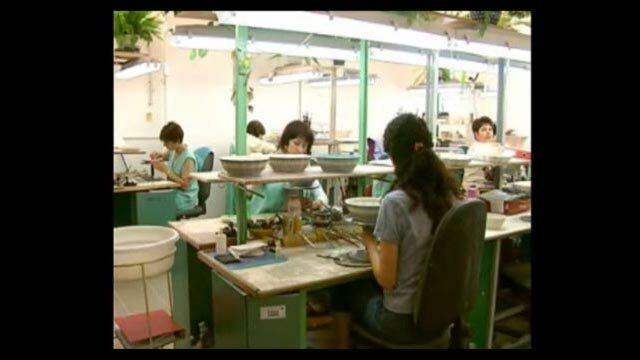 After the war, the region was rebuilt and pottery factories soon reopened. 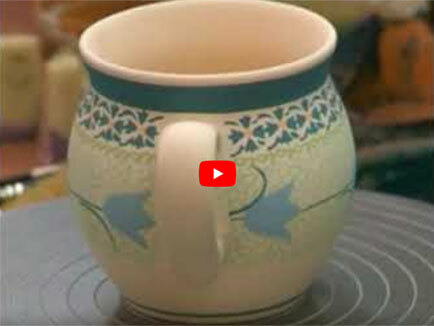 Today in the small village of Boleslawiec, Poland, skilled artists still individually handcraft and hand paint each piece of pottery using a hand-stamping technique and free-hand design. Today’s Traditional Patterns are the evolution of the original efforts of J.G. Altman. Using the “punching” technique of hand stenciling, highly skilled artists create an array of designs and colors inspired by the local environment and culture, as well as nature. Unlike the series of patterns, there is no limit in production for these patterns, and the largest pool of artists combine to satisfy the demand. Their prices represent the base price for our selection of Polish pottery. Considering the value, Traditional Patterns are a great place to start or enhance a collection. Unikat (meaning “Unique”) Patterns take artistry to the next level, not only for the consumer, but for the artist as well. As an artist’s skills progress, they are encouraged to progress to a higher level with the challenge of the Unikat patterns. These designs display more intricate detail and incorporate a greater number of elements and colors. Identified by the “UNIKAT” stamp on the bottom, sometimes above the artist’s initials or name, these patterns are more time and labor intensive, involving greater stamping skills and in many cases, hand painting. Our selection of Unikat patterns is affordable at the mid-level price point. Artists achieving the highest level of artistic accomplishment, the true “masters” of their art, earn the privilege of creating their own designs from beginning to end. Since these artists are responsible for the painting of every piece produced with this design, it limits the supply, making them treasured collector items. Signature Products bear the UNIKAT stamp on the bottom along with the signature &/or initials of the artist. The painstaking attention to detail and design is evident in the beauty of each Signature piece. 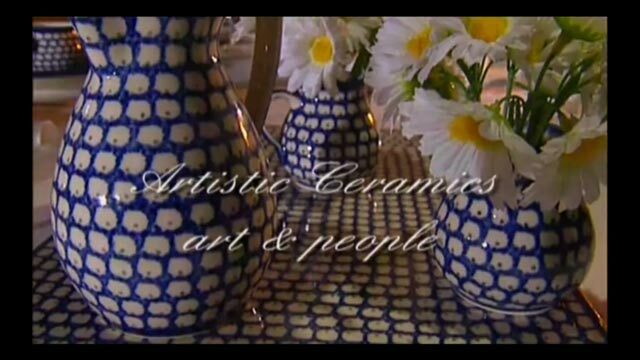 Each piece is a work of art and shows the finest designs currently coming from the Bolesławiec ceramics community. Our selection of Signature patterns are still reasonably priced and represent the highest level of useful and collectible pieces.